Readers of C.S. Lewis possess differing opinions on the film adaptations of the Chronicles of Narnia. One element from the latest film that is presented quite faithfully, is Eustace’s transformation into a dragon. “He had turned into a dragon while he was asleep. 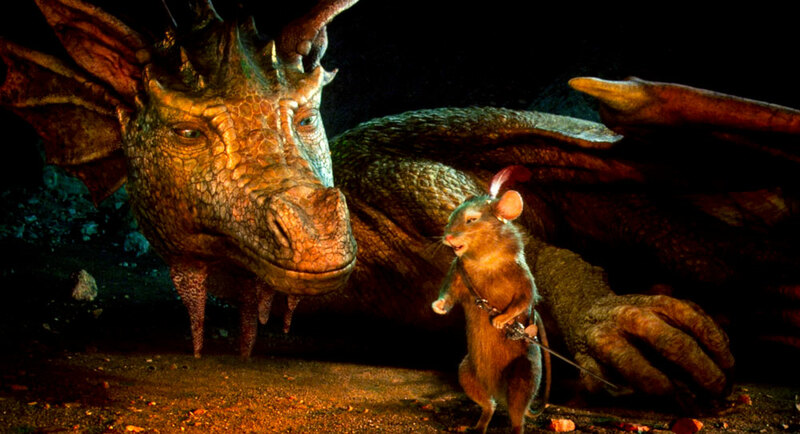 Sleeping on a dragon’s hoard with greedy, dragonish thoughts in his heart, he had become a dragon himself.” (Voyage of the Dawn Treader). With his brilliant insight and typical mirth, Lewis reveals for us a powerful dynamic of human existence. Two, in fact. First, what we are inside—our genuine essence or spirit—will ultimately be revealed. This is true for most of us during this life. And, it will be experienced by all humanity as we stand before our Creator. What a wonderful lesson for us. It resounds with echoes of the Scriptures. The title of this column suggests that we beware of the dragons to which we are particularly vulnerable. They vary from person to person, of course. And, they frequently shift, dependent on our biological age circumstances. To feel temptation is therefore a far different thing from consenting or yielding to it. We must all feel it, although not all in the same manner, but some in a greater degree and more severely than others; as, the young suffer especially from the flesh, afterwards, they that attain to middle life and old age, from the world, but others who are occupied with spiritual matters, that is, strong Christians, from the devil. But such feeling, as long as it is against our will and we would rather be rid of it, can harm no one. For if we did not feel it, it could not be called a temptation. But to consent thereto is when we give it the reins and do not resist or pray against it. (Luther’s Large Catechism). And so it is with us. No matter how dragonish you and I have grown, we can be healed of the affliction by the same Aslan, who is known in our world by a different name . . . Yeshua (Jesus). Beautifully said. I love that part in the book and movie, but love your insight into it ever more. Thanks for the inspiring, uplifting words, and reminder of Who we most need to keep in our thoughts and desires each day. This is a marvelous posting on a subject that has need of being pursued by so many right ow. Thank you for sharing your insights and philosophy. “He had turned into a dragon while he was asleep.” This, too, I feel is very important. Is it not while we “sleep” that the dragons emerge? Personally I find that when I fail to be vigilant, when I, in effect, fall asleep at my post, is when the dragon takes over, and when I “wake” I have a full-fledged battle on my hands… a battle I would lose if God did not come to my aid. I never have and never shall believe in god or anything like a godlike being…but I liked this particular post nonetheless. Fortunately for me, the only thing I’ve ever coveted in my life is to become a writer…and I’m gladly surrendering to this particular dragon, since kids tell me they love my stories. While in Western societies dragons are seen as something bad, this is not the case in Asia, where dragons are mostly a symbol of good fortune and happiness. To me religion of any kind has always been the bad dragon, the one that twists and turns people’s minds until they believe anything and try to justify anything in the name of some god or other. I’m glad you found the post interesting, despite our differing beliefs. I am persuaded that everyone has a “religion” or faith of their own–because ultimately it simply boils down to what our worldview is. If, for example, we believe there is no afterlife, we may choose to be humanists, and invest our physical, emotional, mental (and spiritual) energies in making this world the best place it can be. But even if you reject this notion, surely you cannot regard all religious beliefs as malignant? While at times each has doubtless been manipulated by evil people toward cruel ends, that abuse does not corrupt the genuine article. What, we might ask, is the true essence or core of a faith? In Christianity, we find that heart in the Person, Jesus. Not in lofty pulpits, not in elaborate ecclesiastical ritual, not in sterile doctrine. Our hope and trust is in a resurrected and compassionate Savior, who knows each of our names. Thanks again for the comment. As for the “never shall” in your first sentence . . . don’t be so sure. If God reveals himself to you in a manner you comprehend, you find yourself like C.S. Lewis, who regarded himself as a truly reluctant convert. In any case, I applaud your victory over cancer and offer my sincere wishes that you will live a healthy and joy-filled life.